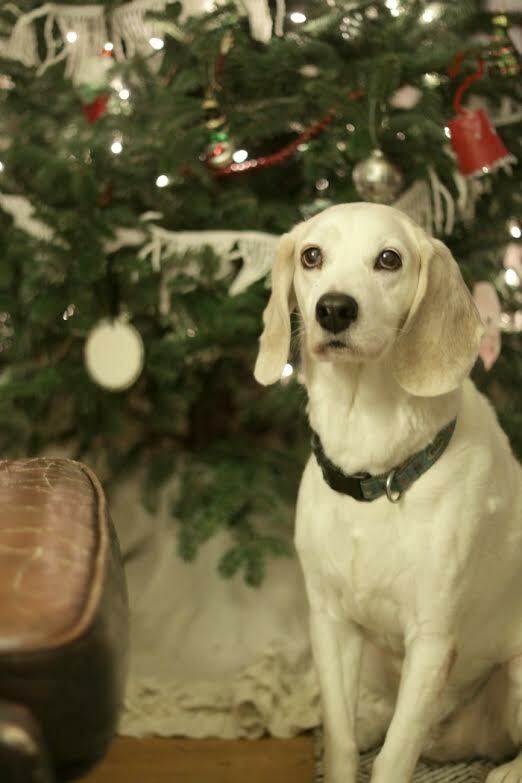 My dog Sushi texted her favorite pets and asked them to snap some festive Christmas selfies. 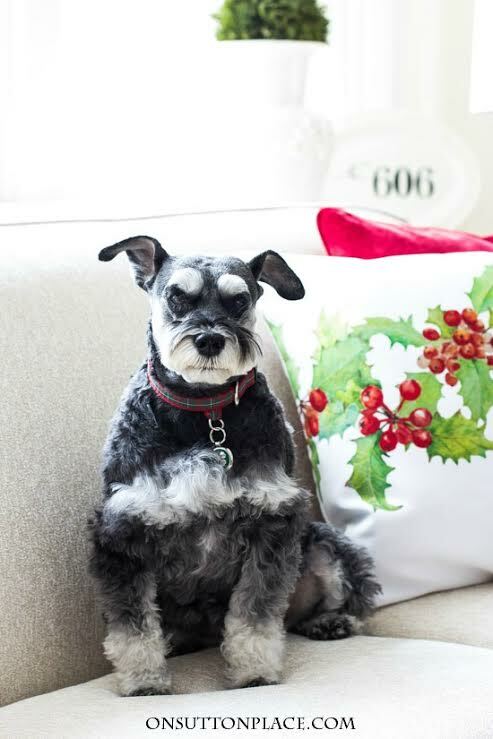 Bonus: these pets moms and dads have decked their halls like nobody’s business so make sure to visit them for more Christmas decorating inspiration. 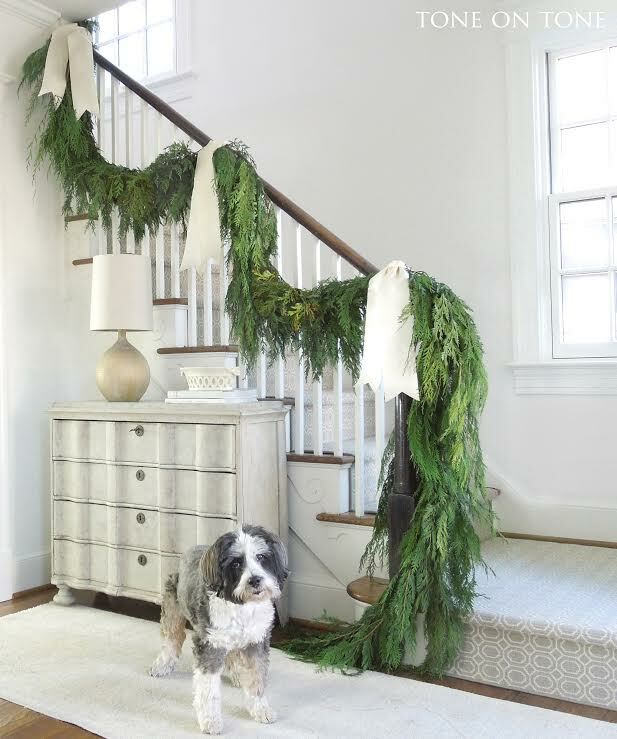 Mocha has been helping Loi Thai of Tone on Tone deck the halls and hang cedar garland and the results are stunning! 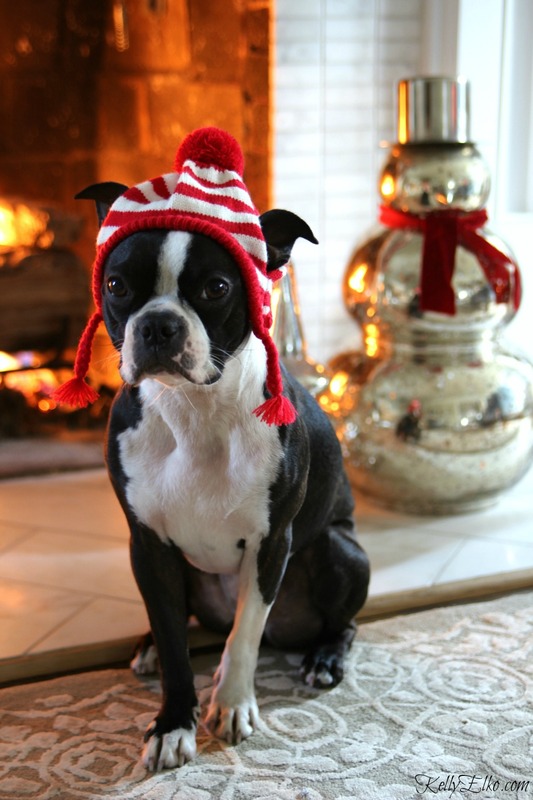 Jessica of Four Generations One Roof’s dog Garth waits patiently for Santa to bring him a king size treat – or else! Meet Kelly who belongs to Ann of On Sutton Place. I guess if I’m going to share my name with a dog, it helps if she’s as adorable as Kelly. Hope belongs to Kris of Driven by Decor and seems to enjoy a cozy pom pom throw. I had the pleasure of meeting Jake when I visited my friend Cassie Bustamante. Since then, she’s added two more rescue dogs to her family. 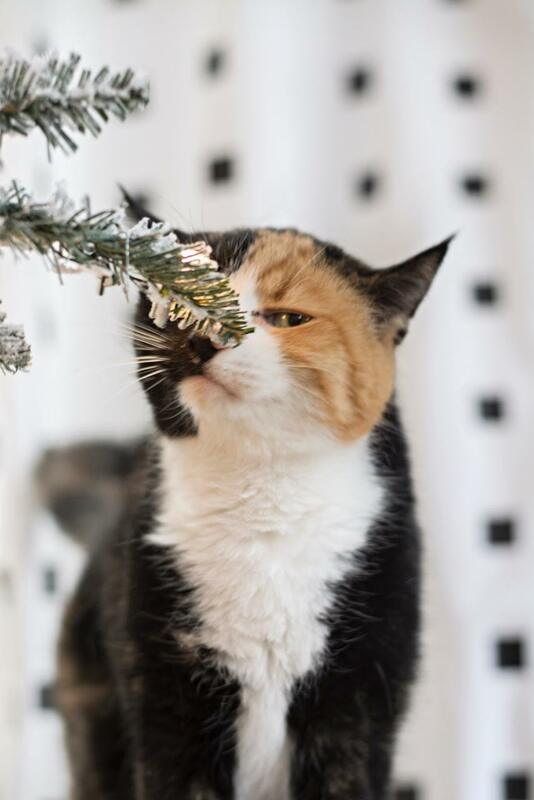 I think Julia of Cuckoo 4 Design’s 18 year old kitty gives Grumpy Cat a run for his money! Her name is Lilly and she is polydactyl like Hemingway’s cats which means she has lots of extra toes. 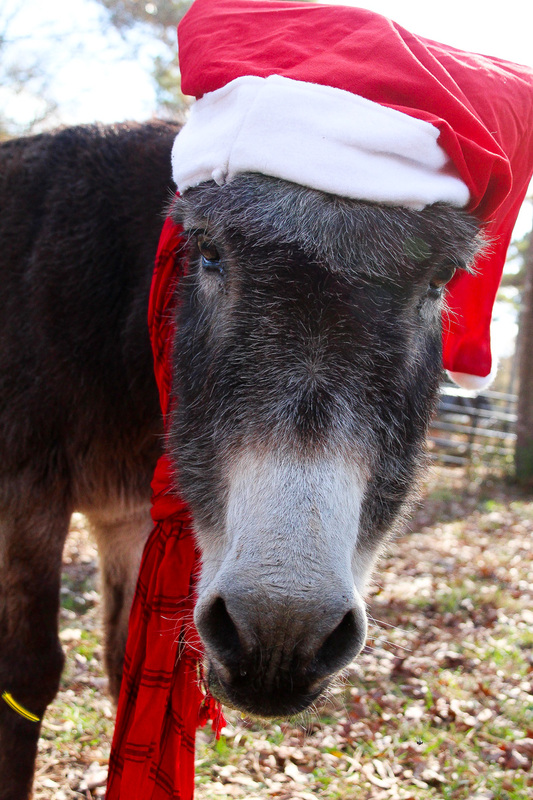 Oreo the donkey is hoping Santa will let him lead his sleigh but Laura of Duke Manor Farm is having none of that. Sushi and I wish you the merriest of Christmases! Come back tomorrow for my Christmas at Night Home Tour. these are all so flippin’ cute! and i need a donkey ASAP, santa! You definitely need a donkey! Those fur babies just make you smile!! !…Merry Christmas to you and your family Kelly!!! Looking forward to more escapades of Sushi in 2017!! Sushi and I wish you the happiest Christmas and 2017 Shirley! 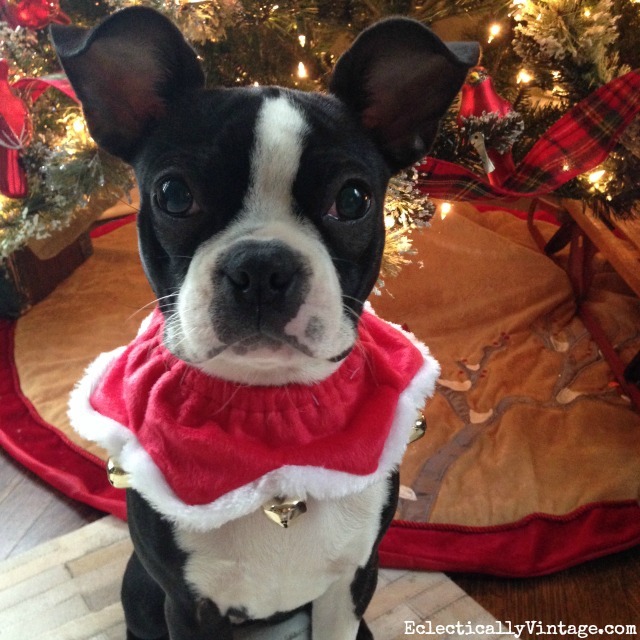 Merry Christmas to you and your family too Shirley – love from Sushi! They are all so cute – but now I want a donkey! Aren’t they the cutest Linda! Best post EVER! Love all the animals. Merry Christmas. Thanks so much Sally – it was fun! So cute! Thank you for sharing the fur babies. Glad you enjoyed them Doris! I have two more cats. The one is 18 and the other is 21! I know – I can’t believe that cat is 18 either! I don’t eat Sushi – but I do love my little Sushi! Sushi says it’s her pleasure to include Mocha! Awwww this is the best! Thanks for including my Lilly. And how about Oreo, love him! I always wanted a donkey. Merry Christmas! Lilly should take Oreo for a spin! Loving all your precious fur babies. There so cute in there photos and hats and can’t forget mr. Donkey and the beautiful cat. Can’t wait until tomorrow nite and see what’s coming next. I’m hoping Santa leaves a donkey under my tree! oh this was such a fun post. love seeing everyone’s 4 legged friends. thanks for sharing oreo as well. Merry Christmas to your menagerie Laura! That mastiff my parents have them,but love all of them..Merry Christmas. 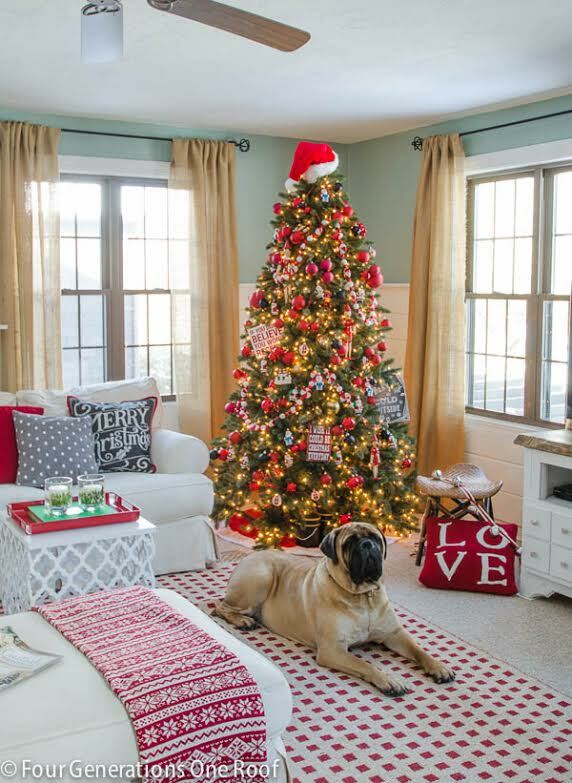 I love that mastiff – Merry Christmas Cheryl!